Relying on old formulas are always safe things to rely on, but they become refreshing when you put an interesting and unexpected twist to it. Such is the case with the KBS drama “Queen of Mystery”, as it takes the old tropes of Sherlock Holmes and Dr. John Watson and gives it a new spin. Set in modern day Seoul, Sherlock is transformed into a married woman in her 30s, and Watson becomes a very determined old school detective. The first season of “Queen of Mystery” keeps itself light while tackling crime, and also manages to tackle interesting topics regarding the role of women in society and relationships. With its popularity, the show got greenlit for a second season, and started the trend of second seasons for other highly rated dramas such as “Signal”, “Voice”, and “Stranger”. “Queen of Mystery” follows the exploits of a housewife named Yoo Seol Ok (Choi Kang Hee), who has an uncanny penchant for solving cases, and an uncanny way of sniffing a new case out. At first, she did it to help out substation chief, Liutenant Hong Joon Oh (Lee Won Keun), but soon ends up partnering up with Detective Ha Wan Seung (Kwon Sang Woo), who isn’t that keen about putting housewives in harms way. 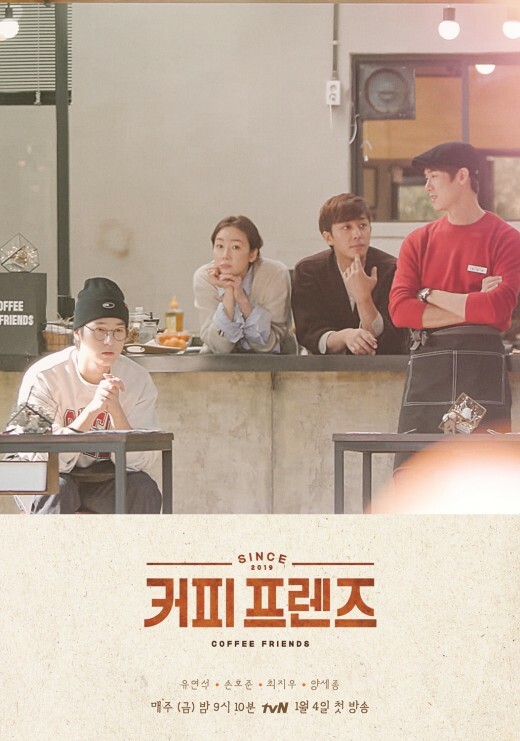 The series premiered on KBS in 2017; was exective produced by Bae Kyung Soo, Lee Sang Baek and Lee Young Bum; was directed by Kim Jin Woo and Yoo Yeong Eun; and was written by Lee Seong Min. The series also starred Shin Hyun Bin as Jung Ji Won, a lawyer and family friend of Wan Seung’s; Kim Hyun Sook and Kyung Mi, Seol Ok’s best friend and the owner of a restaurant; Yoon Hee Seok as Kim Ho Chul, Seol Ok’s prosecutor husband; Jeon Soo Jin as Kim Ho Soon, Seol Ok’s sister-in-law; Park Jun Geum as Park Kyung Suk, Seol Ok’s mother-in-law; and Ahn Gil Kang as Captain Bae Kwang Tae, Wan Seung’s captain. The entire series had a very rocky start for me, but the series got better and better as the cases progressed, and as we got to know the characters more. Aside from the cases and the overarching story arc, the one thing that made me love this drama were the various interactions that these characters had with each other, and the different dynamics each characters interaction has. It was also interesting to see this role reversal of sorts with the quirky, smart and kindhearted Seol Ok, a housewife, as our Sherlock; and with Wan Seung, an old school detective as her Watson. The dynamics and the character interactions between these two definitely were the heart and soul of the entire show. It’s amazing how Seol Ok is always one step ahead of Wan Seung , but he is there when the dirty work needs to be done, and he does it with such gusto. I also like that we were given a heroine who never wavered from her own beliefs, had a lot of growth, and was smart and spunky all at the same time. Seol Ok, in my opinion, can definitely give my favorite female detective of all time, Nancy Drew, a run for her money. This show also touched upon the tricky subject of the role of women and gender stereotypes as well, as seen with how Seol Ok is with her husband and in laws, and with Kyung Mi’s situation as well. I loved the fact that even though we didn’t get all of our answers in the end, that the show consistently stayed true to its nature and was quite light, with an interesting noir feel to it as well. Choi Kang Hee and Kwon Sang Woo both shone in this series, what with having to balance comedic moments, action sequences, and genuine heartfelt moments. Lee Won Keun was a big revelation to me, and I cannot wait to see his other projects, as I do feel that he has potential. He played the charming puppy dog Joon Oh perfectly, and I also like the character growth that they gave him here. All in all, “Queen of Mystery” was so much fun to watch, even if it wasn’t a perfect show, as it was full of interesting character dynamics, interesting characters, and fun cases to solve along with Seol Ok and her little Scooby Gang. Because of this, it is no wonder it got greenlit for a second season. I mentioned that this show isn’t a perfect show, and I say that because I felt that the pacing was sometimes uneven. The beginning was a little bit rocky for me, then it started to pick up as Seol Ok, Joon Oh and Wan Seung started investigating cases together, then it dipped again somewhere in the middle, and then it picked up, and ended strong, even though it didn’t wrap up all the questions that we had about the overarching plot of Wan Seung’s search for Seo Hyun Soo. That ending though, through me for a loop as Hyun Soo suddenly reappeared and showed up in front of the mysterious Chief Kim. (When I heard the name Chief Kim, I actually did a double take as I love that drama!) Hopefully we’ll be able to learn more about this mysterious woman, Chief Kim, and the mysterious organization that has enough power to cower Wan Seung’s father into silence, in the second season. However, that aside, what made this show great were the journeys that our main characters went through during the season, and the character interactions they all had with each other. Case in point, I loved how the grocery store lady, the police officers of the local substation, Kyung Mi, Seol Ok, and Wan Seung and his team worked together in order to find the underwear thief. The character dynamics were just perfect and the way that they paired off was great too. Aside from that, we have the character dynamics between different characters such as Joon Oh’s reluctant friendship with Wan Seung, Kyung Mi and Seol as best friends for life, Kyung Mi and Captain Bae, Captain Bae and his chief, Joon Oh and Captain Bae, and the list goes on and on. I absolutely loved Choi Kang Hee as my new favorite female detective, Seol Ok. She didn’t go overboard with her quirkiness, and was able to show how quick and intelligent she is when she’s figuring things out that leads to them solving the case. Aside from Seol Ok being a different kind of protagonist, her character itself was also very interesting and complex. She wanted to be a detective in order to solve her parents’ deaths, is a devoted family member and doesn’t want to cause any trouble to the family that took her in, and probably got married to her husband not really out of true love but probably due to the idea that marrying into that family would really guarantee that she always would have a place to come home to. Throughout the series, though, not only does she learn the true meaning of family, as she got one with Wan Seung and her friends, but she also had to deal with the particular set of choices she had decided to make, especially if it did negatively impact the investigation or her own family. I am also glad that she finally realized that Ho Cheol wasn’t the man he claimed to be, as he was cheating on her and was corrupt, and in a sense I hope that she also realized that her potential was actually being suppressed by them. Even though I am a little bit mad that Ho Cheol never really got the comeuppance most of us thought he deserved, I’m glad that he did regret his actions. I really do hope that Seol Ok will be more free to pursue an actual career as a policewoman in Season 2, and I hope that we get answers as well regarding her parents’ deaths. Joon Oh’s journey was subtler than Wan Seung’s and Seol Ok’s. I love how this character kept on surprising me, especially when it was revealed that he actually used Seol Ok’s involvement with their cases as a pilot to usher in a new era of police work in which civilian experts could also be consulted on cases. However, his biggest turning point was that he turned down a career in Intelligence, which would have set him for life, to work for the Violent Crimes Unit. This was the harder choice to make, and I think he did that after realizing that policework isn’t at all the romanticized version he might thought it would be. Wan Seung’s journey was all about letting his barriers down, and trusting in the help of those around him. Luckily for him, he’s got a lot of friends, and Seol Ok, who care a lot about his actual well being more than he does. He may come off as rude and a tease, but underneath all of that is a determined, passionate single minded person, who will do everything it takes in order to accomplish a particular goal. I am also glad that in the end, he was able to let Hyun Soo go, which is why when she showed up in the end, my heart sort of fell a bit for the possibility for Seol Ok and Wan Seung being together. I also loved how he went from stopping Seol Ok from investigating, to dropping little hints here and there for her, and to supporting her when she really needs it. I also think that this show touched upon the subject of women and their society as well as we many kinds of different women, from the main and secondary characters, their varying stages of life, and their different situation, such as Seol Ok, who is stuck in a marriage to a husband who isn’t that grateful towards her, Kyung Mi is divorced yet a thriving businesswoman, and then you have Seol Ok’s mother-in-law who isn’t the worst but who has gotten too comfortable with having Seol Ok around and doesn’t really do much anything. All in all, “Queen of Mystery” was a wonderful ride, and I do hope that the second season will be able to provide answers to our many unanswered questions, while still delivering great character interactions and fun cases to solve. Have you seen “Queen of Mystery” Season 1? What did you think of it? What did you like or not like about it? Let me know what you think in the comments below!